She cowers in the corner, afraid and weary. 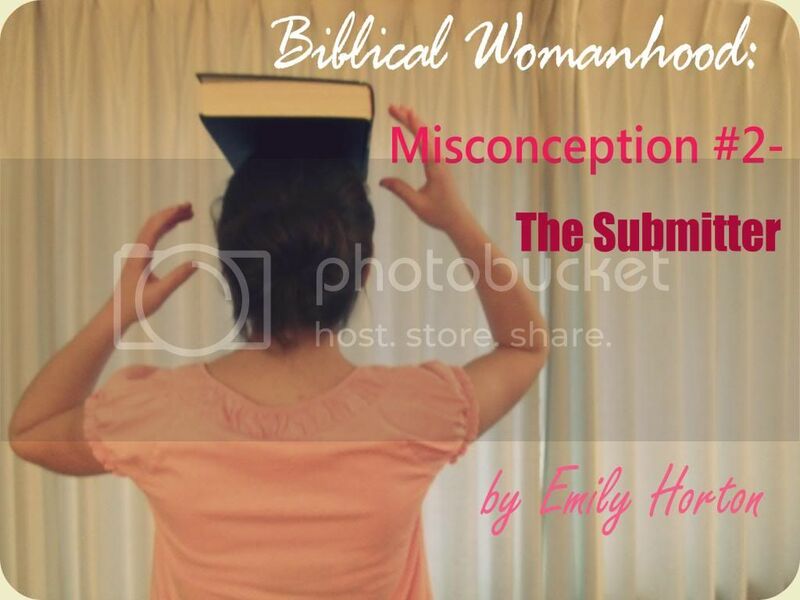 She is told by others that the Bible says that she must submit to her authority. The problem is, she and her authority don’t understand the real meaning of this “submission” word. That being the case, she is instead treated almost like a servant, being forced to “submit” to every whim from her authority. Most of us hear the word “submission” and feel like running. I’m going to be honest in saying that submission doesn’t sound like much fun. Submitting, whether it’s to your parents, boss, or husband sounds more like servant-hood than anything else. When, we hear of the submissive wife or the submissive daughter, we tend to picture a girl standing quietly, head bowed, and awaiting her next command. She lives only to serve her authority. She is quiet, fearful, and constantly working towards the next task her authority has for her to do. She does not think for herself. She does not voice her opinions. She simply submits. Sounds fun! Right? Okay, not so much. The great news is that this image is not what God intends submission to be! This image is the ignorant interpretation of us humans. We think that submission equals servant-hood. This is not true! God is far bigger than that in His planning for us. Ephesians 5:22-30 paints a picture of what Biblical submission looks like in a husband and wife relationship.